Dr Henrik Schoenefeldt is currently on research leave until 2019/20. 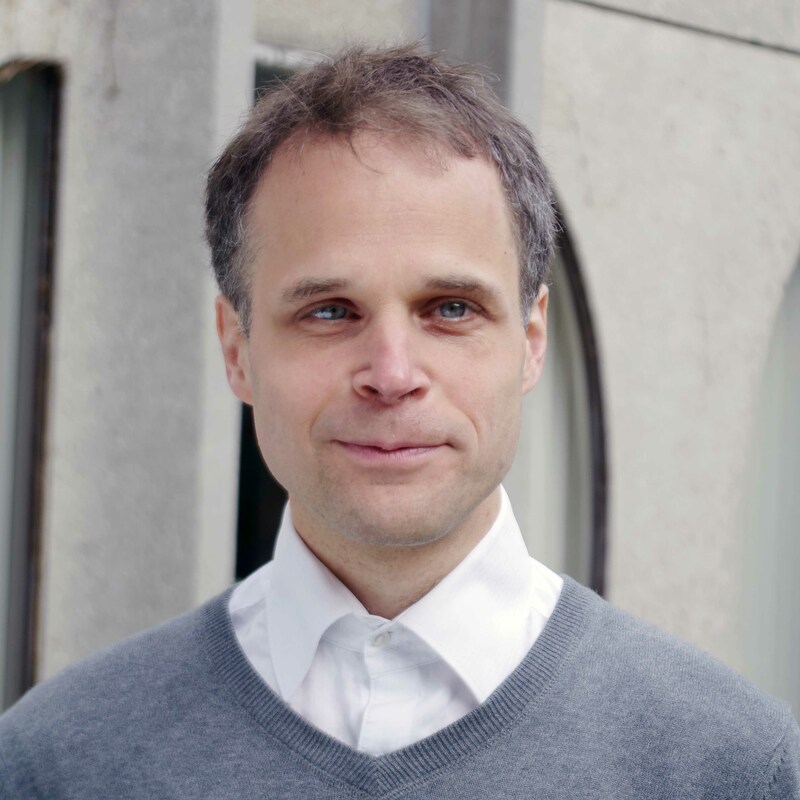 Dr. Henrik Schoenefeldt is Senior Lecturer in Sustainable Architecture (US: Associate Professor) and AHRC Leadership Fellow at the Kent School of Architecture and Planning. He is on research leave up until Michaelmas 2018 to lead a large AHRC funded project investigating the Houses of Parliament’s historic ventilation system. The project, which is entitled ‘Between Heritage and Sustainabiliy – Restoring the Palace of Westminster’s nineteenth-century ventilation system,’ feeds into the Palace of Westminster Restoration and Renewal Programme. Henrik trained as an architect in the UK and Austria and specialized in environmental design with an MPhil and PhD from the University of Cambridge. His supervisor was Professor Alan Short. Henrik has a particular research interest in the history of environmental design in architecture and his current research investigates how a critical understanding of past environmental principles could inform contemporary sustainable practice in the context of building conservation. Despite the historical focus of the research, his architectural background remained critical in this research as it provided him with the understanding required to analyse potentially significant technical and scientific aspects of architectural design. These are frequently neglected by more conventional architectural historians with a specific art-historical training. His research has been recognized as a contribution to our understanding of historic buildings by historians as well as by practitioners and various professional bodies. His recently publications includes an article in the AA Files entitled ‘The First (Lost) Chamber of the House of Commons’. Over the past five years, Henrik has been extensively involved in teaching and curriculum development within the School. He developed several new modules with the aim of fostering stronger links between research, practice and teaching in the field of sustainable design. This was underpinned by research funded through the Higher Education Academy and a collaborative research-project on PassivHaus standard within the UK, which involved researchers, industry-based practitioners and students. Among these new modules developed over this period is the MSc Module AR828 – REDISCOVERY: Understanding historic buildings and past environmental technologies and the MArch modules AR546- Sustainable Technology in the Context of Architecture, AR647: Design-led Research in Architecture, and AR600 - Architectural Pedagogy. The latter is a taught module in architectural education, which combines a formal program of lectures, tutorials and seminars with research and teaching practice. For his contribution to architectural education he has been awarded the 2016 Faculty of Humanities Teaching Prize. Henrik’s interest is in the study of sustainable design principles and technologies deployed in contemporary as well as historic buildings. Henrik is currently also the Principal Investigator of two research projects on the PassivHaus standard in the UK, which includes a post-occupancy study and a larger collaborative research project, explore the critical issues underlying the delivery of the German PassivHaus standard in the UK through primary research. The latter involved, among others, interviews with the contractors, manufacturer, consultants, architects and client bodies involved in fifteen selected projects. These provided detailed insights into this issues from cross-industry perspective. Another research focus is the study of historic environmental technologies and the history of environmental design in architecture from a technical, cultural and design perspective. He has a particular interest in the scientific experiments and monitoring techniques used in the design development and post-occupancy evaluation of buildings and technologies in the past. Another research area is the pedagogy of environmental design. His PhD (Cambridge 2007-11) explores the environmental design principles developed in the context of glasshouse design in the nineteenth-century and how the horticulturalist Joseph Paxton exploited these principles to manage the climate inside the Great Exhibition Building (1850-51) and the Crystal Palace at Sydenham (1852-54). The research has revealed that these two buildings represented two pioneering experiments in adapting glasshouses specifically for exhibits and human beings rather than plants. This aspect has not been studied before and his research has yielded peer-reviewed papers in four journals. Further research investigated the role of environmental design in the modern movement, focusing on the tension between the use of bioclimatic principles and mechanical strategies in building design and urban planning. Henrik also conducted archival research in Chicago and New York to investigate and to study the environmental strategies used in office building design in nineteenth and twentieth century America. This research illuminated the transition from building which exploited a largely passive approach to lighting, ventilation and climate control to the full mechanization (integration) of these functions (within) of architecture. Aside from recovering the experience gained with these strategies in the past, the research investigated how these past solutions could be adapted to achieve low energy buildings today. Henrik has presented his research to a wide range of audiences, which has shown that it was valued not only by architects and academics, but also by civil engineers and building conservationists. He presented at the Passive Low Energy Architecture Conference, Martin Centre, CRASSH, Institution of Structural Engineers and the Institute of Historical Research and the RIBA. He recently presented a paper at the New Directions in Gothic Revival Studies on the relationship between architects, scientists and engineers in the development of the ventilation systems of the House of Parliament. His presentations were followed by interesting cross-disciplinary discussions about the value of a historical understanding of environmentally driven innovation in architecture. He is currently preparing a book on the subject of his PhD and working on three journal papers exploring the role of environmental design experimentation in the design of the Houses of Parliament. Dr. Henrik Schoenefeldt is on research leave up until Michaelmas 2018, leading a large AHRC funded project investigating the Houses of Parliament’s historic ventilation system, which feeds into the Palace of Westminster Restoration and Renewal Programme. The project is entitled ‘Between Heritage and Sustainabiliy – Restoring the Palace of Westminster’s nineteenth-century ventilation system. The main aim of the project is to gain a critical understanding of the original Victorian environmental principles deployed in the Houses of Parliament, and to explore how far these could be reutilised to form part of a more sustainable approach to ventilation and climate control today. For details about the project please visit the project website. Schoenefeldt, H. (2018). The House of Commons: a historic precedent for post-occupancy evaluation. Building Research [Online] 6:635-665. Available at: https://doi.org/10.1080/09613218.2019.1547547. Schoenefeldt, H. (2018). Historic research as an applied science. Contexts - Journal of the Institute of Historic Building Conservation 2018:17-19. Schoenefeldt, H. (2018). The Historic Ventilation System of the House of Commons, 1840-52: revisiting David Boswell Reid’s environmental legacy. Antiquaries Journal 98. Schoenefeldt, H. and Kohler, M. (2017). The Royal Standard. CIBSE Journal [Online] 2017:36-38. Available at: http://www.cibsejournal.com/archive/PDFs/CIBSE-Journal-2017-04.pdf. A study on the environmental principles underlying the design of the Royal Albert Hall, following plans developed by the Victorian building services engineer Wilson Weatherly Phipson. It explores how the vast auditorium with crowds of up 8000 people was ventilated and its indoor climate controlled without mechanical air-conditioning, using nineteenth century methods of cooling, humidification and heating. Moreover it examines some of the challenges encountered with maintaining thermal comfort. Schoenefeldt, H. (2016). The Lost (First) Chamber of the House of Commons. AA Files 72:161-173. The articles retraces the development of the first ventilation system in the British House of Commons, which was designed by the physician David Boswell Reid between 1847 and 1852. This was only operational for two years, before it was decommissioned and replaced with a new system. Reid, who was referred to as the 'ventilator' of the Houses of Parliament, worked closely with Barry's team of architects and civil engineers to apply his system to architectural plans that had been developed before his employment in Westminster. Various scholars have argued that Reid's limited technical knowledge and skills was a barrier to his ability to successfully collaborate with architects and engineers. He was trained as a physician not as an engineer or architect. This critique, however, detracts from the significant influence that his distinctive scientific and medical background had on the unique concept behind the ventilation system or the empirical working methods used in its development. In this articles the original letters and drawings used in the communication between the two offices are used to show that Reid's contribution lies primarily in the development of the design of concept, underpinned by experiments inside temporary structures in Edinburgh and Westminster. In several textbooks Reid illustrates the science behind the natural movement of air induced by atmospheric pressure, gravity or thermal buoyancy, and also how it can be studied experimentally in the laboratory or applied in the context of ventilation. Moreover, he used research methods originating in the fields of chemistry and medicine to evaluate the performance of environmental technologies from the perspective of human physiology and perception. Reid's approach was distinctive through its focus on the human and environmental rather than the technical aspects, but Reid relied on engineers to fully develop his concepts. The drawings that Reid submitted to Barry's team were schematic, and the engineers in Barry's office fully developed his ideas on a technical level. This included the production of technical details and their incorporation into the working drawings. Reid provided skills and perspectives that were different from both engineers and architects and the challenge was the successful integration of different bodies of knowledge and sets of skills into architectural design process. His skills and perspective resembles more closely that of the modern environmental design consultant than that of building services engineers with their strong mechanical engineering focus. The design of the Palace of Westminster was cross-disciplinary endeavour which required a fundamental understanding of the role of each specialist discipline involved. Schoenefeldt, H. (2016). And after that.. RIBA Journal [Online]:51-52. Available at: https://www.ribaj.com/intelligence/and-after-that. A review of the RIBA’s recent research symposium ‘The Design Quality Proposition: ensuring and communicating design quality in architectural practice’. Focusing on three case studies; Sainsbury Laboratory in Cambridge, Royal Road Housing in London, Wilkinson Primary School in Wolverhampton; the articles explores what constitute design quality and how it can be measured. Schoenefeldt, H. (2016). Question Time. CIBSE Journal [Online] 2016:70-74. Available at: http://www.cibsejournal.com/archive/PDFs/CIBSE-Journal-2016-09.pdf. Schoenefeldt, H. (2014). The Temporary Houses of Parliament and David Boswell Reid’s architecture of experimentation. Architectural History 57:175-215. The article explores the stack-driven ventilation system that the Scottish physician and chemistry professor David Boswell Reid had adopted and tested inside the Temporary Houses of Parliament. The original environmental systems were reconstructed, using developmental sketches, technical reports and oral accounts, in a series of drawings. The Temporary Houses, erected in Westminster after the fire as a preliminary home for the British Parliament, were occupied for several years up until the completion of the New Houses of Parliament. This provided Reid with the unique opportunity to test and optimise a stack ventilation strategy not only over an extended period of time but also under real life conditions. The two debating chambers were used to test and optimise the ventilation system and its day-to-day operation from a physiological, environmental and technical perspective. It also explores in detail the scientific working methods that Reid had originally developed in Edinburgh and how they were applied to the study of the ventilation in the Temporary House of Commons (1835) and in the Temporary House of Lords (1839). The article also explore the new insights that Reid and his team of attendants had gained through experiments and by monitoring the system over several years. Archival evidence also permitted the author to undertake a detailed analysis of the performance of the system. This involved a detailed study of the original measurements recorded in the attendants’ log-books, observational studies, user-surveys and reports on various technical experiments undertaken inside the House of Commons over fifteen year. This analysis showed, for instance, that the day-to-day operation of the system was challenging as the system had to be very responsive to any changes in the weather conditions, atmospheric pollution levels or sudden and extreme fluctuations in the number of MPs inside the chamber. Moreover, it was operated manually by a team of attendants. To affectively manage the system, a sophisticated monitoring and control regime was developed, which involved, among others, the systematic monitoring of the indoor climate and the collection and interpretation of user-feedback from MPs while the House was sittings. These aspects have not been studied by historians in any great depth before, but they are critical to fully understand the significance of the environmental experimentation for the subsequent development of the ventilation in the actual Palace of Westminster. Schoenefeldt, H. (2012). Creating the right internal climate for the Crystal Palace. Journal of Engineering History and Heritage [Online] 165:197-207. Available at: http://www.icevirtuallibrary.com/content/article/10.1680/ehah.11.00020. This paper explores Joseph Paxton's experiments with climate control inside glasshouses between 1830 and 1850 and how he exploited this experience to achieve the right internal climate for the 1851 Crystal Palace in Hyde Park. The first part investigates various solutions for ventilation and the management of solar radiation, heat loss and humidity inside glass structures that Paxton had developed before his engagement at Hyde Park. It also shows how these solutions were appropriated for Hyde Park and discusses the various alternative ventilation, shading and cooling arrangements that Paxton investigated for the palace before adopting the final strategy. The final section is a brief analysis of the actual performance of the building and explores the steps taken to improve the ventilation. Schoenefeldt, H. (2012). The use of Scientific experimentation in developing the glazing for the Palm House at Kew. Construction History 2011:19-39. Schoenefeldt, H. (2011). Adapting Glasshouses for Human use: Environemntal Experimentation in Paxton's Designs for the 1851 Great Exhibition Building and the Crystal Palace, Sydenham. Architectural History [Online] 54:233-273. Available at: http://www.sahgb.org.uk/index.cfm/display_page/Publications%20-%20Journal. Schoenefeldt, H. (2010). The Palm House Kew, 1844-48, a case study on scientific experimentation and cross-disciplinary working methods in the nineteenth century architecture French, M., Jackson, S. and Jokisuu, E. eds. Proceedings of Cambridge Interdisciplinary Graduate Conference 2010:174-186. Schoenefeldt, H. (2010). Paxton’s Experimental Glasshouse at Hyde Park 2. Scroope - Cambridge Architectural Journal [Online] 20:200-212. Available at: http://www.arct.cam.ac.uk/scroopeweb/scroope.html. Schoenefeldt, H. (2008). The Crystal Palace, environmentally considered. Architectural Research Quaterly [Online] 12:283 -294. Available at: http://dx.doi.org/10.1017/S1359135508001218. In the nineteenth century, horticulturists such as John Claudius Loudon and Joseph Paxton, aware of the new environmental possibilities of glasshouses that had been demonstrated in the context of horticulture, contemplated the use of fully-glazed structures as a means to creating new types of environments for human beings. While Loudon suggested the use of large glass structures to immerse entire Russian villages in an artificial climate, Henry Cole and Paxton envisioned large-scale winter parks, to function as new types of public spaces. These indoor public spaces were intended to grant the urban population of London access to clean air, daylight and a comfortable climate. Although glasshouses had only been experienced in the immediate context of horticulture, designed in accordance with the specific environmental requirements of foreign plants, rather than the requirements of human comfort and health, they were perceived as a precedent for a new approach to architectural design primarily driven by environmental criteria. The environmental design principles of horticulture were discussed extensively in nineteenth-century horticultural literature such Loudon's Remarks on the Construction of Hothouses (1817), Paxton's Magazine of Botany (1834-49) and the Transactions of the Horticultural Society of London (1812-44). Since the purpose of glasshouses was to facilitate the cultivation of an increasing variety of foreign plants in the temperate climate of Northern Europe, the creation of artificial climates tailored to the specific environmental needs of plants became the primary object of the design. Schoenefeldt, H. and Campbell, J. (2018). Introduction. in: Campbell, J. ed. History in the Study of Services and Construction. Cambridge: Construction History Society, pp. 1-10. Schoenefeldt, H. (2016). Architectural and Scientific Principles in the Design of the Palace of Westminster. in: Brittain-Catlin, T., Bressani, M. and De maeyer, J. eds. Gothic Revival Worldwide A.W.N. Pugin’s Global Influence. Leuven, Belgium: Leuven University Press, pp. 175-199. Available at: http://upers.kuleuven.be/en/book/9789462700918. Schoenefeldt, H. (2014). Science Revolution. in: Jones, D. ed. Architecture - The whole story. London: Prestel. Available at: http://www.randomhouse.de/paperback/Architecture-The-Whole-Story/Ed-Denna-Jones/e447640.rhd?pub=58500. Schoenefeldt, H. (2010). Paxton's Experimental Glasshouse at Hyde Park. in: Gloster, D. and Numes, J. -P. eds. RIBA Education Yearbook 2010. London: RIBA, pp. 136-139. Schoenefeldt, H. (2009). The Transformation of the Horticultural Glasshouse Prototype for Human Habitation. in: Gloster, D. and Numes, J. -P. eds. RIBA Education Yearbook 2009. London: RIBA, pp. 106-107. Schoenefeldt, H. (2016). Between measurements and perception – How Victorian scientists assessed the climatic conditions inside the Houses of Commons, 1852- 54. in: Architecture and Experience in the Nineteenth Century.. Available at: http://www.history.ox.ac.uk/faculty/events/event/2016/03/17//tx_cal_phpicalendar/architecture-and-experience-in-the-nineteenth-century.html. Schoenefeldt, H. (2015). Reid's Short-lived ventilation system for the Permanent House of Commons. in: Campbell, J. et al. eds. Second Conference of the Construction History Society. Cambridge: Construction History Society, pp. 167-180. Available at: http://www.arct.cam.ac.uk/events/second-annual-construction-history-society-conference-2015-and-international-colloquium-on-construction-history-british-building-construction-and-its-influences. The Scottish physician David Boswell Reid was responsible for developing the ventilation of the British Houses of Parliament over a period of 17 years. Following the testing of his concept for a stack-driven ventilation system in a model debating chamber erected in Edinburgh and the two debating chambers of the Temporary Houses of Parliament in Westminster, he had developed a master plan for the ventilation of the whole Palace. This master plan was abandoned in 1846 but Reid was able to implemented his original concept within the Permanent House of Commons. His design for Permanent House had only been in use from February 1852 till Spring 1854, after which it was superseded by a different system by the physician and engineer Goldsworthy Gurney. Previous studies on the history of the Palace, such as Cooke (1987), Riding(2000) Collins (1998), Port(1976) and Hitchcock(1955), have provided a general overview of the development of the ventilation system, but do not explore Reid's design and the underlying design objectives in any detail, let alone how it was influenced by findings of his earlier experiments. Archival research undertaken by the author has revealed that the system implemented by Reid in the Permanent Houses of Commons was different from those tested earlier in Temporary Houses of Commons (1836-51) and Lords (1838-47) or the new system with which it was replace in 1854. It comprised a more sophisticated system, which was developed to overcome the limitations of the simpler stack systems tested in the Temporary Houses of Parliament. It was designed, among others, to respond more effectively to varying attendance levels or changes in the weather and to improve user- satisfaction through personalised climatic control at bench level. This is the first study to reconstruct the design and analyse the performance of Reid's original ventilation system in the Permanent House of Commons. Historian of environmental design, including Hawkes (2012), Bruceman (1977), Bruegmann (1978), Sturrock (2006), have not given specific attention to Reid's design for the Permanent House. Rather they have focused primarily on the general principles. Schoenefeldt, H. (2008). The Building of the Great Exhibition of 1851, an Environmental Design Experiment. in: Kenny, P., Brophy, V. and Lewis, O. eds. Proceedings of the 25th Passive and Low Energy Architecture International Conference. Dublin: University College Dublin. Available at: http://architecture.ucd.ie/Paul/PLEA2008/content/papers_3.html. Schoenefeldt, H. (2014). Report on the Historic Ventilation system of the Palace of Westminster's River Front. Report produced by Dr. Henrik Schoenefeldt and presented to the Parliamentary Estates Directorate. Report submitted to the Parliamentary Estate Division on 12 April 2014. It is based on extensive archival research undertaken by Dr. Henrik Schoenefeldt outline the design and development of the ventilation of the Houses of Parliament. The focus on the ventilation of the River Front, including the Committee Rooms. It includes historic plans, details, new drawings produced by the author to reconstruct the historic ventilation system. Schoenefeldt, H. (2014). First Report on the Victorian ventilation system of the House of Lords: Its design and evolution 1839-54. Report on study by Dr. Henrik Schoenefeldt, presented to Parliamentary Estate in January 2014. Schoenefeldt, H. (2013). Reconstructing the stack ventilation system of the Houses of Parliament: A historical approach, submitted to the House of Commons Commission. Report submitted to House of Commons Commission. Report submitted to John Bercow (House of Commons Commission) on the historic stack ventilation system of the Palace of Westminster. Schoenefeldt, H. et al. (2014). Interrogating the technical, economic and cultural challenges of delivering the PassivHaus standard in the UK. [PDF downloadable online]. Available at: http://www.kent.ac.uk/architecture/conference/2014/passivhaus/PassivHaus_UK_eBook.pdf. A peer-reviewed eBook, which is based on a collaborative research project coordinated by Dr. Henrik Schoenefeldt at the Centre for Architecture and Sustainable Environment at the University of Kent between May 2013 and June 2014. This project investigated how architectural practice and the building industry are adapting in order to successfully deliver Passivhaus standard buildings in the UK. Through detailed case studies the project explored the learning process underlying the delivery of fourteen buildings, certified between 2009 and 2013. Largely founded on the study of the original project correspondence and semi-structured interviews with clients, architects, town planners, contractors and manufacturers, these case studies have illuminated the more immediate technical as well as the broader cultural challenges. The peer-reviewers of this book stressed that the findings included in the book are valuable to students, practitioners and academic researchers in the field of low-energy design. It was launched during the PassivHaus Project Conference, held at the Bulb Innovation Centre on the 27th June 2014. Schoenefeldt, H. (2016). Architectural Pedagogy Bussey, J. and Hope, C. eds. [Exhibition Catalogue]. Article in the 2016 End of Year Catalogue, University of Kent School of Architecture. It discusses new module in Architectural Education that Henrik Schoenefeldt has developed and implemented over the past two years. It is designed for architecture students at masters level to acquire a deeper knowledge of the theory and practice of architectural education. It equips future architects with the skills required to become teachers alongside being practicing architects. Schoenefeldt, H. (2018). Powers of politics, scientific measurement and perception: evaluating the performance of the Houses of Commons'first environmental system, 1852- 54. in: Gillin, E. and Joyce, H. eds. Experiencing Architecture in the Nineteenth Century. London: Bloomsbury. Available at: https://www.bloomsbury.com/uk/experiencing-architecture-in-the-nineteenth-century-9781350045941/. The chapter explores the role of the user experience in the design development and evaluation of Reid’s ventilation system, focusing on the period between 1835 and 1854. Eyewitness accounts from Members, which were recorded in Hansard reports, parliamentary papers, and newspapers, as well as scientific reports and the engineers’ monitoring log-books, which contained notes on Members’ self-reported feedback, provide critical insights into the internal environmental conditions and how Members experienced them. This chapter also retraces how insufficient success in satisfying the MPs’ expectations drove the House of Commons to commission various scientific inquiries into the system and contributed to the premature decommissioning of Reid’s system after only two years. Inquiries into the experience of occupants in buildings, however, were not unique to the Houses of Parliament. They represent a major strand within the history of building science in the nineteenth and twentieth centuries, and still form an important part in modern methods of Building Performance Evaluations. As such, the inquiries inside the House of Commons offers some insights into early nineteenth-century practices of environmental design. Schoenefeldt, H. (2016). Reid’s legacy. CIBSE Journal (Chartered Institute of Building Services Engineers) [Online]. Available at: http://www.cibsejournal.com/.